Reversing an Android application can be a (relatively) easy and fun way to answer this question, that’s why I decided to write this blog post where I’ll try to explain the basics and give you some of my “tricks” to reverse this stuff faster and more effectively. I’m not going to go very deep into technical details, you can learn yourself how Android works, how the Dalvik VM works and so forth, this is gonna be a very basic practical guide instead of a post full of theoretical stuff but no really useful contents. A working brain ( I don’t give this for granted anymore … ). An Android smartphone ( doh! ). You have a basic knowledge of the Java programming language (you understand it if you read it). You have the JRE installed on your computer. You have the Developer Options and USB Debugging enabled on your smartphone. Here’s what you will find inside an APK. This is the binary representation of the XML manifest file describing what permissions the application will request (keep in mind that some of the permissions might be requested at runtime by the app and not declared here), what activities ( GUIs ) are in there, what services ( stuff running in the background with no UI ) and what receivers ( classes that can receive and handle system events such as the device boot or an incoming SMS ). Keep in mind that this is the perfect starting point to isolate the application “entry points”, namely the classes you’ll reverse first in order to understand the logic of the whole software. In this case for instance, we would start inspecting the com.company.appname.MainActivity class being it declared as the main UI for the application. This folder will contain application specific files, like wav files the app might need to play, custom fonts and so on. Reversing-wise it’s usually not very important, unless of course you find inside the software functional references to such files. All the resources, like the activities xml files, images and custom styles are stored here. This is the “index” of all the resources, long story short, at each resource file is assigned a numeric identifier that the app will use in order to identify that specific entry and the resources.arsc file maps these files to their identifiers … nothing very interesting about it. This file contains the Dalvik ( the virtual machine running Android applications ) bytecode of the app, let me explain it better. An Android application is (most of the times) developed using the Java programming language. The java source files are then compiled into this bytecode which the Dalvik VM eventually will execute … pretty much what happens to normal Java programs when they’re compiled to .class files. Long story short, this file contains the logic, that’s what we’re interested into. Sometimes you’ll also find a classes2.dex file, this is due to the DEX format which has a limit to the number of classes you can declare inside a single dex file, at some point in history Android apps became bigger and bigger and so Google had to adapt this format, supporting a secondary .dex file where other classes can be declared. From our perspective it doesn’t matter, the tools we’re going to use are able to detect it and append it to the decompilation pipeline. Sometimes an app needs to execute native code, it can be an image processing library, a game engine or whatever. In such case, those .so ELF libraries will be found inside the libs folder, divided into architecture specific subfolders ( so the app will run on ARM, ARM64, x86, etc ). Every Android application needs to be signed with a developer certificate in order to run on a device, even debug builds are signed by a debug certificate, the META-INF folder contains information about the files inside the APK and about the developer. A MANIFEST.MF file with the SHA-1 or SHA-256 hashes of all the files inside the APK. A CERT.SF file, pretty much like the MANIFEST.MF, but signed with the RSA key. A CERT.RSA file which contains the developer public key used to sign the CERT.SF file and digests. This can be gold for us, for instance we could use this information to determine if an app was really signed by (let’s say) Google or if it was resigned, therefore modified, by a third party. How do I get the APK of an app? Now that we have a basic idea of what we’re supposed to find inside an APK, we need a way to actually get the APK file of the application we’re interested into. There are two ways, either you install it on your device and use adb to get it, or you use an online service to download it. And here you go, you have the APK you want to reverse! Keep in mind that once you download the APK from these services, it’s a good idea to check the developer certificate as previously shown in order to be 100% sure you downloaded the correct APK and not some repackaged and resigned stuff full of ads and possibly malware. This will switch from passive sniffing mode, to proxying mode. 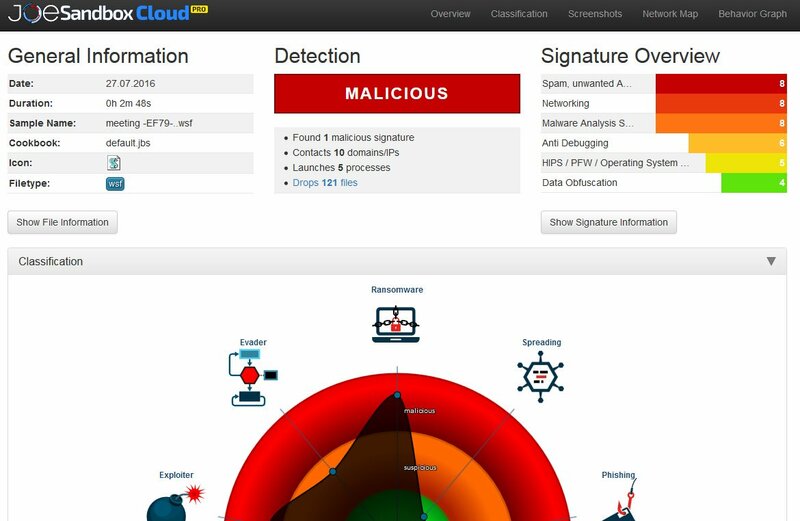 All the HTTP and HTTPS traffic will be intercepted (and, if neeeded, modified) by bettercap. If the app is correctly using public key pinning (as every application should) you will not be able to see its HTTPS traffic but, unfortunately, in my experience this only happens for a very small number of apps. From now on, keep triggering actions on the app while inspecting the traffic ( you can also use Wireshark in parallel to get a PCAP capture file to inspect it later ) and after a while you should have a more or less complete idea of what protocol it’s using and for what purpose. After the network analysis, we collected a bunch of URLs and packets, we can use this information as our starting point, that’s what we will be looking for while performing static analysis on the app. “Static analysis” means that you will not execute the app now, but you’ll rather just study its code. Most of the times this is all you’ll ever need to reverse something. There’re different tools you can use for this purpose, let’s take a look at the most popular ones. APKTool is the very first tool you want to use, it is capable of decompiling the AndroidManifest file to its original XML format, the resources.arsc file and it will also convert the classes.dex ( and classes2.dex if present ) file to an intermediary language called SMALI, an ASM-like language used to represent the Dalvik VM opcodes as a human readable language. Once finished, the application folder is created and you’ll find all the output of apktool in there. One of the best features of jADX is the string/symbol search ( the button ) that will allow you to search for URLs, strings, methods and whatever you want to find inside the codebase of the app. Also, there’s the Find Usage menu option, just highlight some symbol and right click on it, this feature will give you a list of every references to that symbol. Unfortunately JD-GUI is not as features rich as jADX, but sometimes when one tool fails you have to try another one and hope to be more lucky. 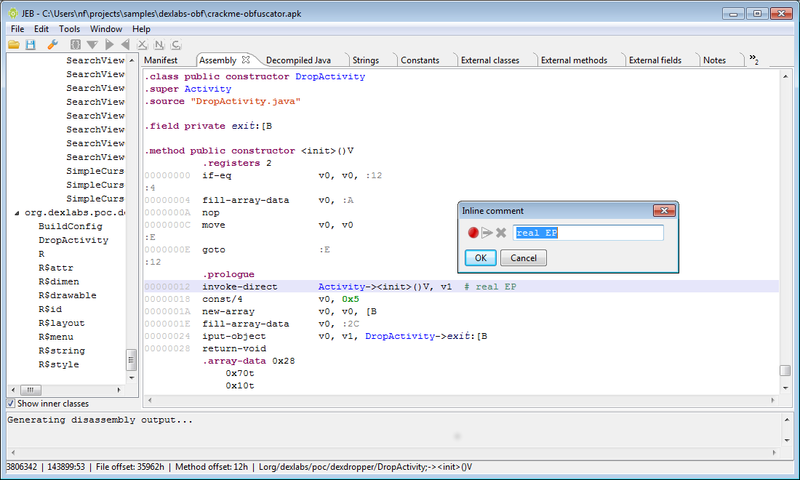 JEB also features an ARM disassembler ( useful when there’re native libraries in the APK ) and a debugger ( very useful for dynamic analysis ), but again, it’s not free and it’s not cheap. The native keyword means that the method implementation is not inside the dex file but, instead, it’s declared and executed from native code trough what is called a Java Native Interface or JNI. Which will tell you in which native library the method is implemented. In such cases, you will need an ARM ( or x86 if there’s a x86 subfolder inside the libsfolder ) disassembler in order to reverse the native object. The very first disassembler and decompiler that every decent reverser should know about is Hex-Rays IDA which is the state of the art reversing tool for native code. Along with an IDA license, you can also buy a decompiler license, in which case IDA will also be able to rebuild pseudo C-like code from the assembly, allowing you to read an higher level representation of the library logic. 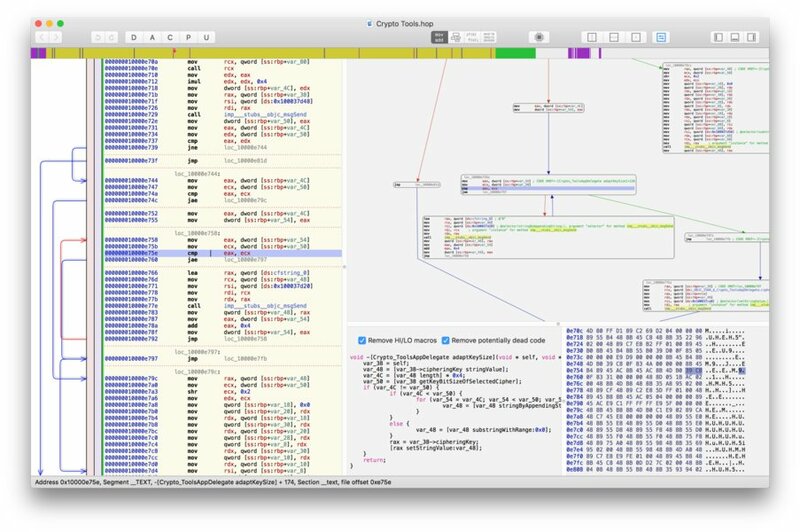 If you’re on a budget but you need to reverse native code, instead of IDA you can give Hopper a try. It’s definitely not as good and complete as IDA, but it’s much cheaper and will be good enough for most of the cases. When static analysis is not enough, maybe because the application is obfuscated or the codebase is simply too big and complex to quickly isolate the routines you’re interested into, you need to go dynamic. Dynamic analysis simply means that you’ll execute the app ( like we did while performing network analysis ) and somehow trace into its execution using different tools, strategies and methods. Sandboxing is a black-box dynamic analysis strategy, which means you’re not going to actively trace into the application code ( like you do while debugging ), but you’ll execute the app into some container that will log the most relevant actions for you and will present a report at the end of the execution. The mobile Joe Sandbox is a great online service that allows you to upload an APK and get its activity report without the hassle of installing or configuring anything. This is a sample report, as you can see the kind of information is pretty much the same as Cuckoo-Droid, plus there’re a bunch of heuristics being executed in order to behaviourally correlate the sample to other known applications. If sandboxing is not enough and you need to get deeper insights of the application behaviour, you’ll need to debug it. Debugging an app, in case you don’t know, means attaching to the running process with a debugger software, putting breakpoints that will allow you to stop the execution and inspect the memory state and step into code lines one by one in order to follow the execution graph very closely. If you have an IDA license that supports Dalvik debugging, you can attach to a running process and step trough the smali code, this document describes how to do it, but basically the idea is that you upload the ARM debugging server ( a native ARM binary ) on your device, you start it using adb and eventually you start your debugging session from IDA. Dynamic instrumentation means that you want to modify the application behaviour at runtime and in order to do so you inject some “agent” into the app that you’ll eventually use to instrument it. You might want to do this in order to make the app bypass some checks ( for instance, if public key pinning is enforced, you might want to disable it with dynamic instrumentation in order to easily inspect the HTTPS traffic ), make it show you information it’s not supposed to show ( unlock “Pro” features, or debug/admin activities ), etc. Here‘s a list of cool Frida resources, enjoy! Another option we have for instrumenting our app is using the XPosed Framework. XPosed is basically an instrumentation layer for the whole Dalvik VM which requires you to to have a rooted phone in order to install it. The jar is located at /data/data/de.robv.android.xposed.installer/bin/XposedBridge.jar and its source code can be found here. Looking at the class XposedBridge, you can see the main method. This is what I wrote about above, this gets called in the very beginning of the process. Some initializations are done there and also the modules are loaded (I will come back to module loading later). There’re already a lot of user contributed modules you can use, study and modify for your own needs. Next Post Làm thế nào để có đơn hàng đầu tiên từ Facebook?